Agency WCRS is no stranger when it comes to making powerful ads. The “Look at Me” billboards released back in 2015 for Women’s Aid combatted domestic violence by drawing viewers’ attention to the warning signs of domestic violence that often go unnoticed. The digital billboards featured a woman’s bruised face, but when more bystanders looked at her, her bruises would fade. But domestic violence doesn’t always leave a physical mark. It can be hidden from the world in the form of a person who slowly dominates every aspect of your life—what you eat or what you wear or even how you spend your money. This is known as “coercive control” and it’s something that is quite difficult to recognize if you’ve never experienced it. That’s why Women’s Aid and WCRS released a new series of ads to shed more light on the role of coercive control in domestic abuse. 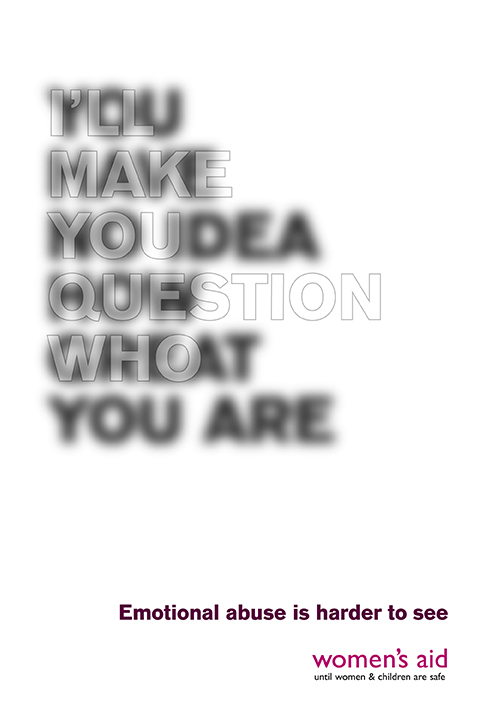 Utilizing the displacement effect, a technique that allows viewers to see different versions of the ad depending on where they are standing, the words on the billboards transform from loving sayings to controlling and abusive phrases. The frightening part about coercive control is that the words can sound tender and caring, not only to those outside of the relationship but also to the person being abused. 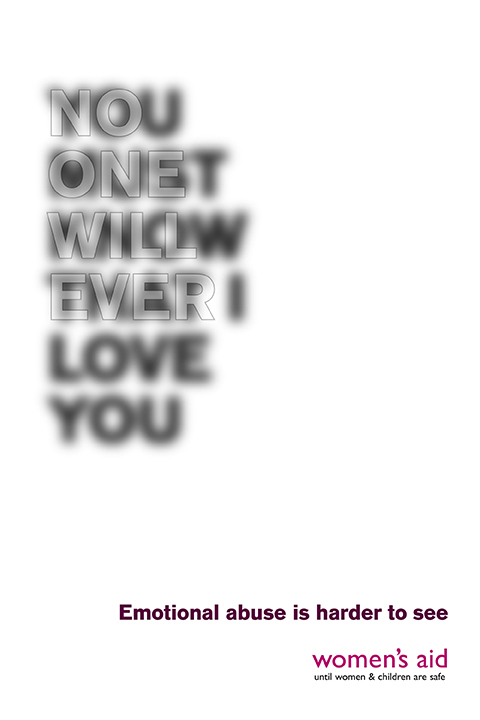 Because oftentimes the threats are hidden amongst loving words, victims even begin to question themselves. The ads will be visible on roadside locations, donated by 8 Outdoor, with long dwell times in London, Birmingham, Leeds, and Edinburgh, making both messages easily viewed by drivers. Selecting the perfect color combination is extremely important when creating a new design or devising the right tone of a piece. It’s also quite difficult since you’ve got to understand color theory and have some type of artistic sense. But one Twitter bot account, @colorschemez, is composing striking color combinations based on an algorithm. 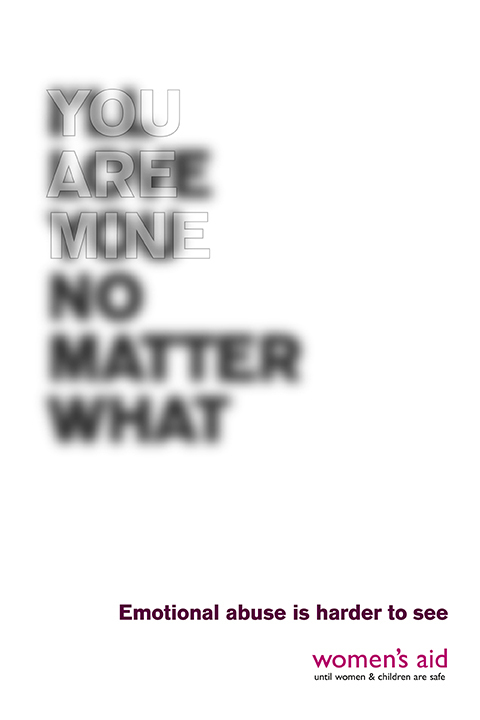 Three colors are chosen at random and and joined together in a square image. Although some color combinations are atrocious, others are quite enjoyable and nice to look at. The names chosen for the combinations are also created by an algorithm that randomly selects adjectives, making them entertaining as well. The genius who built the bot is Los Angeles Times’ graphics editor Joe Fox. Inspired by “The Dress” meme that went viral back in February 2015, the original version of the bot only paired two colors together and had few followers. It wasn’t until the current was created that the Twitter account began to gain popularity. The algorithm works by picking three colors from xkcd’s 2010 color-naming survey, which asked 222,500 participants to name 5 million colors in their own terms, i.e., “purpleish.” With the chosen colors, Fox then programmed the bot to modify the color names even further by selecting a few words from a collection of 8,000 adjectives. 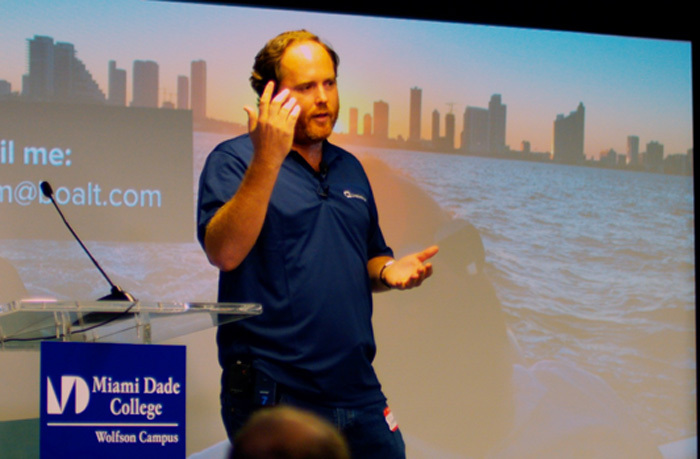 It was our first Summit in partnership with The Idea Center at Miami-Dade College, dedicated to a topic that is mostly discussed in the context of entertainment and photography. Yes, there have been some discussions about visual storytelling in the context of marketing, but they tend to revolve around how to run an effective Instagram campaign or just covering general guidelines of making your message more human, authentic and visually pleasing. How our event was different? Us, at the Visual Storytelling Institute, the Summit organizer, see things a bit different. 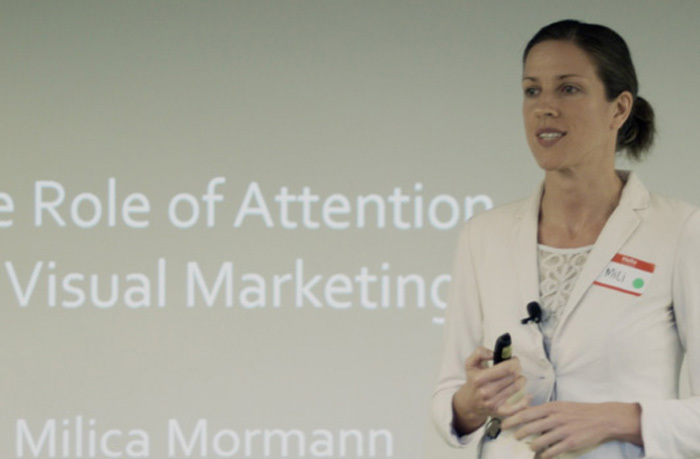 We recognize that the communication landscape is currently marked by two opposing forces; on one hand, a staggering explosion in content (4.6B content pieces are produced daily according to LinkedIn) and decreasing attention spans (close to zero per University of Miami Professor, Milica Mormann and Summit speaker), on the other. This conflict leaves businesses struggling to get their voices heard, and, in our opinion, this serves as the primary call for adventure for visual storytelling. Why? Our brain is wired to process visual content much faster than text and also to respond better to information packaged as stories vs. facts and stats. As such, we find the convergence of a structured storytelling and visual media as a platform for a whole new ecosystem that demands a new type of visual literacy. With this premise in mind, we developed our Summit programming strategy to reflect diverse voices that can shed light on this new ecosystem and how marketers and entrepreneurs can take advantage to grow their companies. 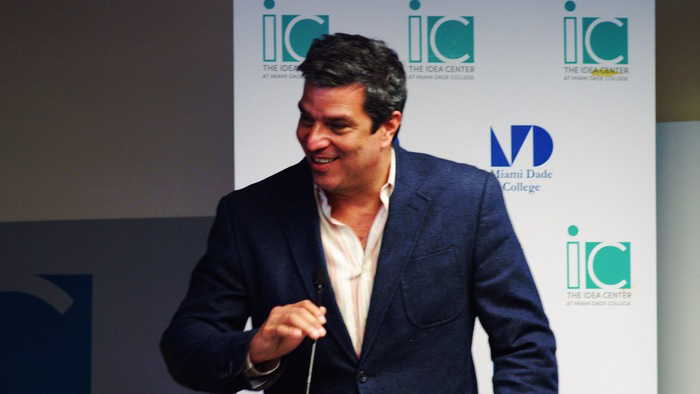 We opened the day with an introduction from Lenardo Finol, Executive Director at The Idea Center, Miami-Dade College – one of the hottest innovation hubs in Miami – that hosted our Summit. 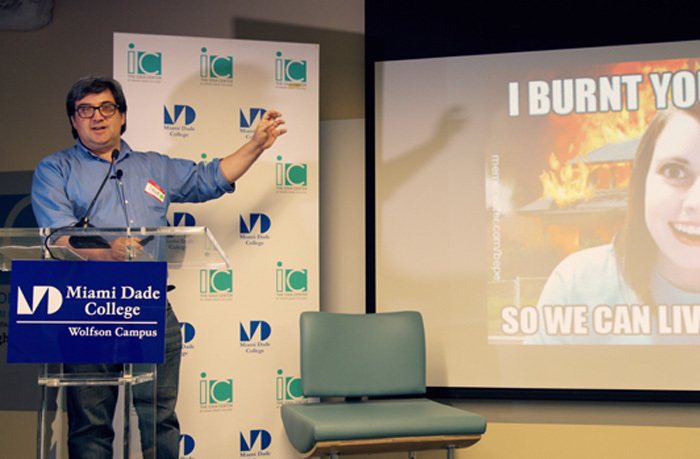 For context, Miami-Dade College is the second largest university in the country, boasting 160,000 students. Leandro reviewed an impressive roster of programs The Idea Center has rolled out since its inception two years ago an impressive roster of programs; from Design Thinking, Lean Startup, Codepro, Digital Marketing to VSI’s upcoming 12-week Visual Storytelling workshop starting January 2017. Kathy, our keynote speaker, effectively illustrated all the primary drivers for a compelling business storytelling while underscoring the importance of first defining your business story and then your visual strategy. The simplicity of her message coupled with creative interactive drills – totally engaged our audience. It was as if she said: “Hey, don’t just take my word for it, try it yourself.” The co-creation drill where paired attendees were asked to share their individual passions into a new idea – was a fantastic example of putting the audience in the driving seat of the experience, and demonstrating their innate storytelling power. We all learned a lot! Milica offered a unique perspective about visual storytelling by sharing a fascinating scientific evidence to the role of attention in driving decision making; from a glance, gaze to engage. The information was in perfect alignment with the audience expectations. It had a ton of practical intelligence like attention span is actually zero vs. 8 seconds as that overused goldfish stat has been claiming. 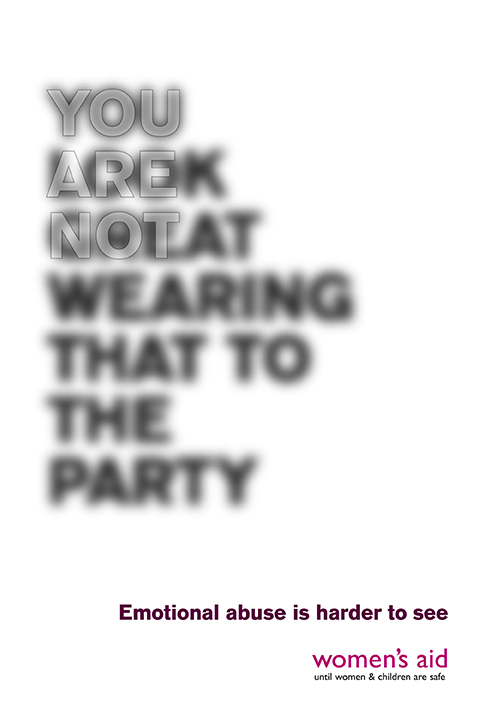 I especially liked the fact about the importance of pre-existing interest beyond visuals – to drive attention. This would mean, that if you’re shopping for new bicycles – you’ll most likely notice bicycles everywhere you go (AKA search salience) vs. someone with a zero interest. Authenticity is a loaded topic that most business leaders still don’t know how to handle. With the high accessibility of creating videos on-the-go and its growing importance, our panelists’ insights and vivid examples helped demonstrate the do’s and don’ts of this critical visual format. With all the talk about rustic, imperfect videos to convey an authentic message, there is a clear line where amateurish executions can do more damage than help. My partner in crime, Alex, did a phenomenal job covering why visual storytelling is so effective. He provided a comprehensive review of how two disciplines; visual media and storytelling converge in our brain for maximum impact. His tips offered our audience actionable advice on how to develop a sound visual storytelling strategy. I especially liked his tip, about showing the “backstage” of your story. Typically, that’s where the narrative is more interesting as you see how the story is developed including imperfections, vs. the iron out, finished product. Brett provided a deep-dive review of Snapchat. He explored what Snapchat is, what it started out as, and what it will become. 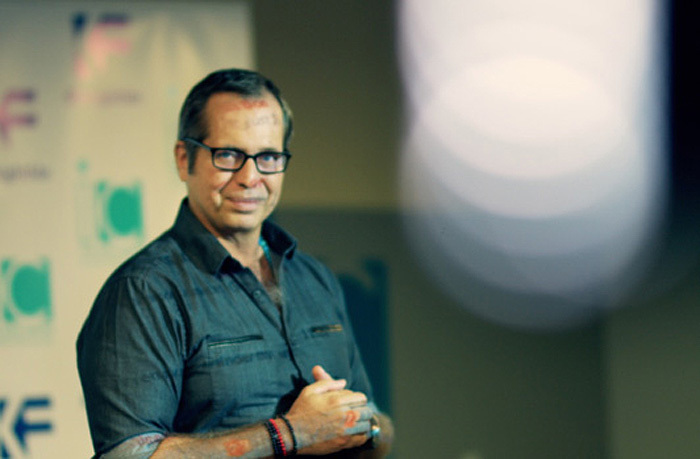 He also talked through how to create the right narrative for your brand, company or product. He also discussed key features how to use them properly and how to think about this technology from the ground up. His presentation literally captivated our audience as the topic is both hot and challenging to many, due to Snapchat’s less intuitive UI for older demographics. I really liked his presentation style that combined a value-added information delivered in a very entertaining way. David a PR veteran, offered a fresh angle into a discipline that as he aptly said, “constantly reinventing itself.” The transition from the flat press release to cross-media experiences along with new ways of connecting with and engaging journalists through social media – brought a whole new set of perspectives. The Internet has changed how public relations does business. Now it’s no longer enough to send a press release or pitch email. Stories need to be illustrated using video and imagery to communicate. Public relations professionals need to become content creators, versed in the technology and skilled in creating compelling materials. Do you remember when Content Marketing launched in 2005, but it wasn’t called Content Marketing? Visual Storytelling is the most important next step in effectively navigating the Visual Web. I provided our vision for visual storytelling. Some of it, is in the above introduction. The drivers for the current content explosion: Global Internet adoption, the emergence of social media and adoption of mobile devices. I also reviewed the evolution of storytelling frameworks from the early 1880’s to our homegrown 9-Step Visual Storytelling Framework. The visual storytelling examples, such as the 2013’s Dove Real Beauty Sketches’ campaign – helped our audience to see the principles I talked about come to life. Finally, I presented how the visual storytelling ecosystem looks like to paint a clear picture of the space and the opportunities it holds. 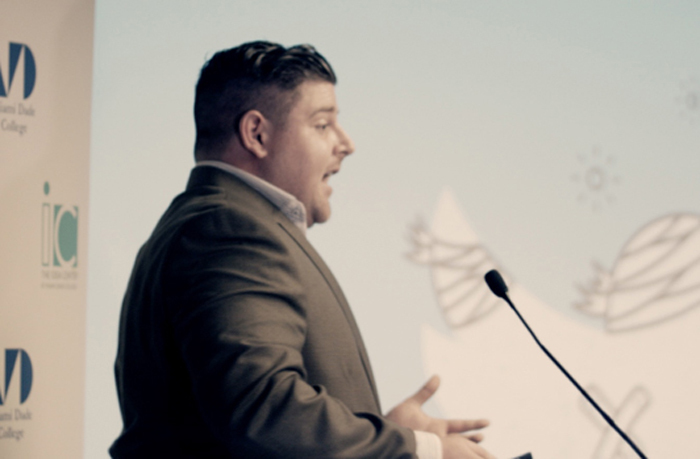 We could not hope for a better way to seal our Summit experience with Adam’s inspiring entrepreneur’s journey. His “real talk” shed a clear light on the challenges any entrepreneur faces today without beautifying any element but showing things as they are – good or bad. From this perspective, his personal story demonstrated all the key ingredients we had talked about earlier in the day, for effective visual storytelling. It had a clear story arc (setup, conflict/s and resolution), the hero’s purpose was very clear (grow your company), the looming threats/dragons (I liked his stress meter and cash balance counter on every slide), and above all, he shared his business and personal vulnerabilities along the way – openly and candidly. These imperfections are what humanized his story and made our audience empathize with his message. Great lessons as most businesses today skip the conflict and just share their triumphs. All in all, Summit validated the true hunger and viability of visual storytelling in empowering marketers and entrepreneurs. At the end of the day, we’re all storytellers and makers that are capable of controlling our narratives. It’s the right story and packaging that make all the difference. Ready to unlock the power of visual storytelling and boost your marketing results? Schedule a conversation about your Visual Storytelling Workshop today! What’s the first thing that comes to your mind looking at these definitions? If you said fake, phony, artificial – you’re on the right track. These are all adjectives that describe authenticity by using different categories of being untrue. Authenticity in visual storytelling is one of the most loaded subjects you could imagine visual storytellers are grappling with today. Why? Think back about a recent movie, video clip you watched, or an image that moved you. What was the narrative element that triggered your emotions? Customer as the hero: Making the customer the hero of the story so you’re watching real stories by real people from their point of view, not the brand. Story duality: The story takes it one step further by revealing that the story people tell themselves about how they look is completely opposite to how other people see them. This is a great lesson for what I call the “double mirror effect.” The better the story you tell yourself, the better it makes you feel and then this effect spills outside to your external relationships and make your message more impactful. Make it relatable: By exposing the customer vulnerability/weakness and the element of surprise when contrasting with other people’s views, this helps show customers’ humanity, and trigger empathy. Make it believable: Once your story is able to generate empathy, it pushes viewers’ guards down (hey this is a commercial! ), they start to identify with the message, see themselves in the story and this way help them trust the narrative core message. Empowerment marketing: Unlike inadequacy marketing that uses fear to stage a need for a product, this video is all about human empowerment. 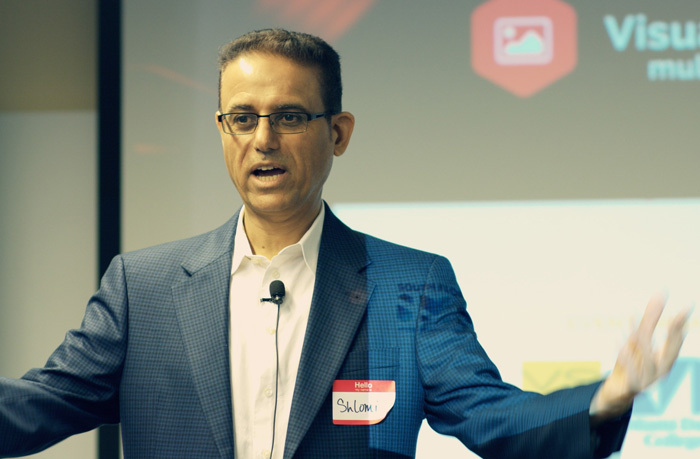 With Cisco projecting that 70% of the world mobile data by 2020 will be video, it has become imperative for marketers to figure out how to create effective video storytelling that will create that sought-after authentic brand experience to move audiences to action. 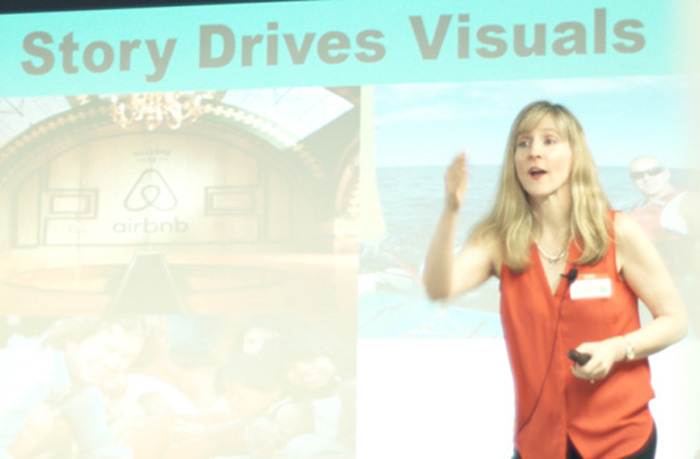 Ready to unlock the power of visual storytelling and boost your marketing results? Schedule a conversation with the Visual Storytelling Institute about your Visual Storytelling Workshop today! This post originally appeared at Visual Storytelling Institute. Sorry, the word you’re looking for can’t be found in the dictionary. A visual narrative (also visual storytelling) is a story told primarily through the use of visual media. The story may be told using still photography, illustration, or video, and can be enhanced with graphics, music, voice and other audio. Getting warmer! 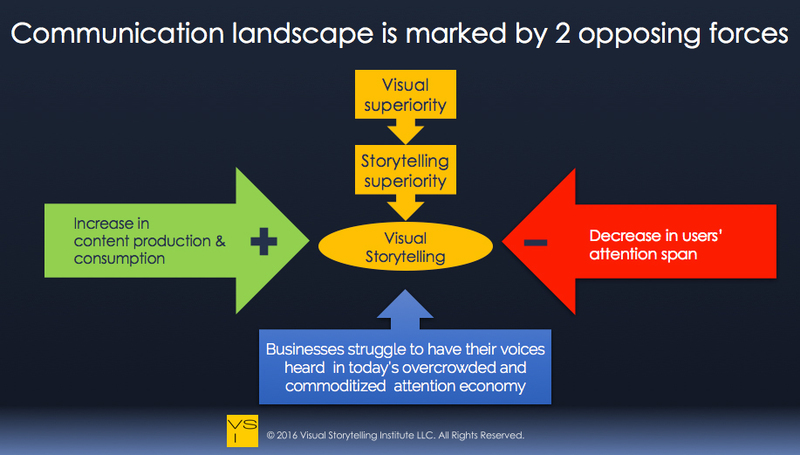 The reality is that the term “Visual Storytelling” is pretty new. Looking at Google Trends, for the past 12 years the term garnered low counts of under 100 searches a month, and it’s only in the past 3 years that the term is experiencing a growth, albeit still modest. Looking closer at these searches, we find that the term “Visual Storytelling” is largely associated with topics covering the visual arts targeting artists/designers: photography, media, illustration, and infographics. Even though the traditional meaning of visual storytelling has been with us since the first man figured hey, I could create a stencil by blowing paint on my hand held to the wall to express how my day went. Sweet! 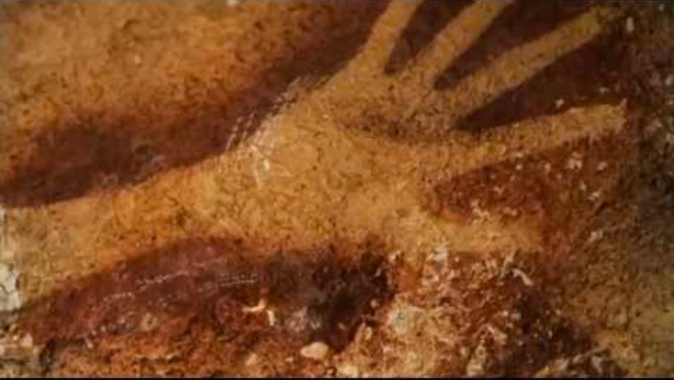 Sulawesi Cave in Indonesia is the world’s first cave paintings 35,000 years ago. BTW Text was invented only 32,00 years later! After which, came the animal hunt stories – all the way to today’s visual arts such as photography, picture books, comics, video games, Instagram, Snapchat, Hollywood 3D movies and Virtual Reality. It seems quite obvious that the term “visual storytelling” is quite new for both visual arts and more so in the context of marketing, so users have no reason to search for it just yet – think “content marketing” circa 2005. 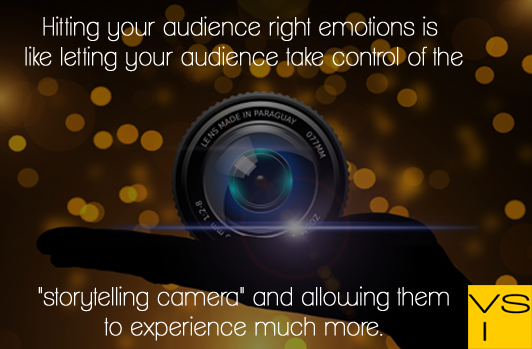 However, switching our camera lens to the marketing space in 2016, we find that marketers have realized that the benefits that rode visual storytelling in the entertainment space to new heights, also make a lot of sense when driving business impact with jaded audiences, overwhelmed by tons of copy cats content plays. in the context of marketing? That means that in order to cut through the clutter and resonate with your audience, as a marketer you need to put your audience as the hero of your story, addressing first their needs – not yours. Why? As Rolf Jensen aptly states, we’re entering the emotion-oriented “dream society” where customers take for granted the functionality of products and make purchase decisions based upon to what degree they believe a product will give them positive experiences (source: Storytelling Advertising – a Visual Marketing Analysis by Sarah Elise Väre). And companies that sell experiences, rather than product/service functions are poised to be rewarded with audience attention. A great example is Apple. Some of us own iPhone 6 devices that work perfectly fine, but regardless we gotta have the new iPhone 7, even with its marginal upgrade benefits. It’s that unique experience that the Apple story enables. If you check Wikipedia under Storytelling, there is a whole section devoted to storytelling in business and marketing. Marketers use storytelling techniques because humans have an ingrained need to be entertained than being clobbered by dry product speeds and feeds. With all the hype surrounding virtual reality (VR) these days, marketers need to mentally put on VR goggles and see the world through their customer’s eyes. It’s about introducing authentic narrative elements to illustrate a meaningful challenge your audience is facing and how you – as the brand marketer – can help them solve it with outcomes impacting both the business and personal levels. Storytelling strategist, Kathy Klotz-Guest also suggests that such meaningful resolutions also need to carry social change that affects the environment, causes that are bigger than rational business results – the currency Millenials respond to the most. Warby Parker with their Buy a pair give a pair campaign or Patagonia that supports the environment – are good examples. The magic happens only when your business story carries a good dose of vulnerability or imperfection that allows your audience to see the human aspects of your narrative and this way develop trust and empathy towards your message (i.e., mirroring themselves in your story). Why? Research suggests that when we read stories packed with distinct feelings, colors or odors, the same region in our brain is activated as if we would smell that particular odor or experience that feeling in real life. 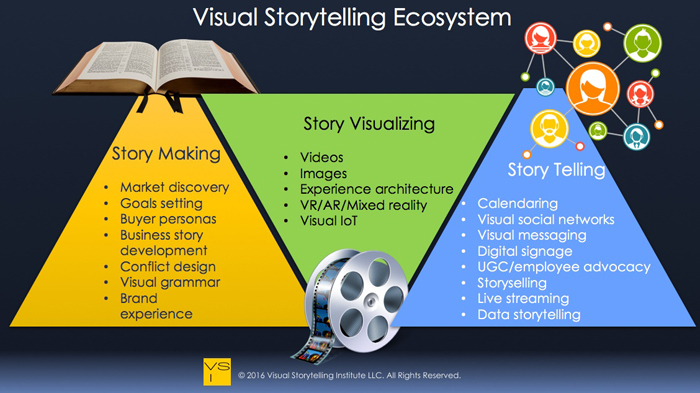 How does the visual storytelling ecosystem look like? *Note: Behind each of the items listed above, there are complete sub-industries that offer either on-demand visual content management platforms or agency-side consulting. Ready to unlock the power of visual storytelling and boost your marketing results? Schedule a conversation about your Visual Storytelling Workshop or one-on-one coaching today!